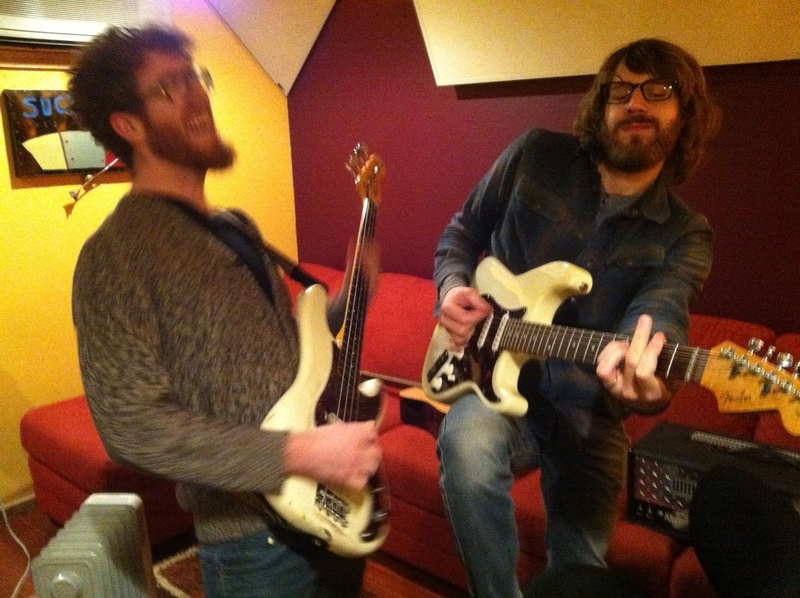 In mid December, we headed back up to More Sound Studios in Syracuse NY to track some brand-new tunes. We welcome the multi-media and multi-instrumental Reinder Oldenberger to the Gruff family. Reinder painted the Binghamton cover art, contributed guitar to these new tracks, and will be providing his bass skills to our live show. Thinks always sound awesome when we record here; no small thanks goes to the snare drum pictured in black and white above. I used this beauty during the Binghamton sessions, and had to grab it for this one: a Slingerland of 70s vintage, featuring a chrome-over-wood shell. I'm still trying to figure out what that snare is exactly... if anyone's got a thought, hit that there comments section. More to come - keep your ears open!